Our busy lives bring about a huge number of pre-packaged products into our rental homes, regardless whether you’re taking the healthier route and buying a bag of lettuce or ignoring your bathroom scales and seeking the biggest burger patties in the frozen food aisle, all these goods are wrapped, packed and stored in their containers. From the extraordinary to the regular necessary products, we need to find ways in properly disposing of such extra waste. Recyclable products include: paper, glass, metal and plastic, here are a few tips and techniques that can reduce your impact on the environment and help you keep a greener home. 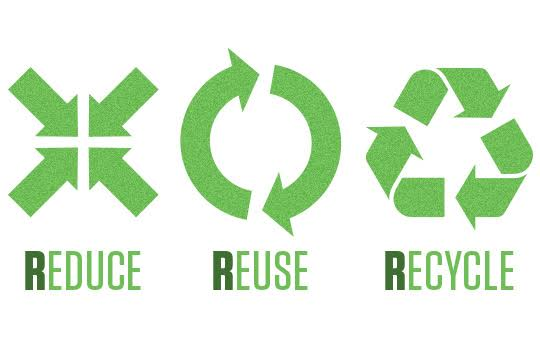 The first step to ensuring that your rental is on the right track with Recycling is by taking the concept of the 3 Rs and adapting it to your daily life. The first R is Reduce: clear as the light of day, this simply means that the first step to safeguarding our environment is by cutting down on the number of packaged products that we buy. R number 2 is none other than Reuse: choosing products in packaging that serve a purpose so that you may make use of the container and transform it into an edgy lunchbox for work or school. Last buy by no means least, the star of our topic is Recycle. The 3rd R is what this all boils down to, making the conscious decision to separate your organic waste from your recyclable waste as soon as you move into your newly acquired home. Preparation is always key and this rule just as simply applies to recycling. Having a system where you can easily store your recyclable waste makes the job far more do-able. Install a recycling system in your new home or ask your landlord to provide you with one. In Malta; paper, plastic and metal are collected in the same bin bag while glass is collected on the first Friday of every month. Recycling bags are grey or green and will be collected on a schedule that depends on your locality. It is important to clean out any residue of food that might finds its way in the crevices of your plastic containers or the rims of your glass bottles, avoiding to do so is asking for a bacterial invasion or worse yet creepy crawlies that are never welcome in any home. Have a look at your labels before buying and especially before sorting your waste as there are a few seemingly ‘recyclable’ items that are not catered for as yet. Take plastic bags for instance, not all types of plastic are easily broken down to form future plastic bags and for this reason they should not be mixed in with the recycled waste but rather (and quite unfortunately) with the organic. Better yet, reuse it, or rather reduce it from your shopping list. Another great tip for your household is to buy already recycled packaging. Every first Friday of the month is Glass Collection Day. This saves you the visit to the recycling plant and also shines a light on how many bottles of wine you manage to guzzle down in the last month. Even though the realities of your drinking habits might not be the best situation to face, approach it from a different angle and take into consideration the vast amounts of glass that you were previously throwing in the Maltese landfills. Reconsider this point and take your glass out of your kitchen on the first Friday of the month. This is a good idea, especially if you’re a late riser. If mornings aren’t really your thing but recycling is then you are obliged to know where you can properly dispose of your recyclable waste. Finding them is easy; just look for large bins with a hole in them, they can be found in 4 colours; blue for plastic, white for paper, brown for glass and black for metal. Have a drive about your local area and try to spot your recycling point. This wise step will help to declutter your rental after a boozy party or relaxing barbecue. All in all, recycling will make the environment we live in a better place and we can easily change this practice in our lives by simply buying some extra bin bags, taking the time to clean out our glass jars or plastic tubs, sticking them in a grey bin bag and placing them outside our door on the allocated days (check with your local council for your locality’s recycling days and times). All of this will help keep your rental home clean and tidy and most importantly as green as ever. Simple really.